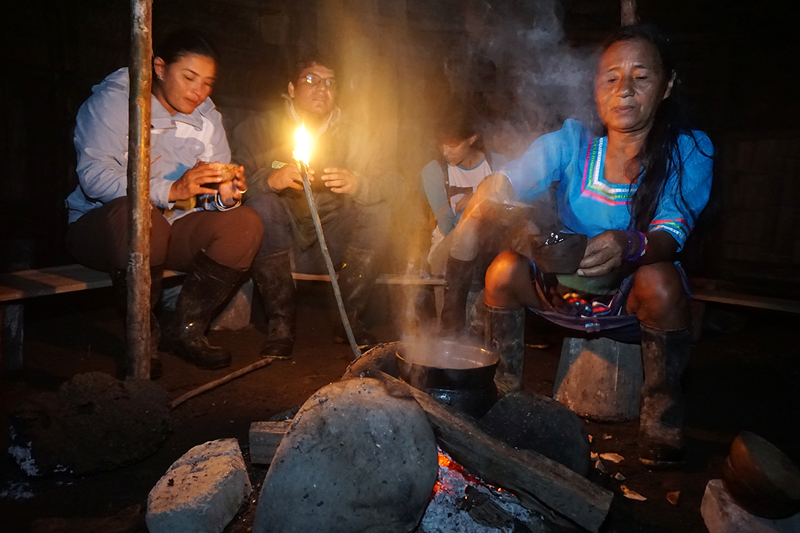 In the Ecuadorian Amazon, there are thankfully some remaining groups of indigenous people who have not been in direct contact with outsiders to this day. Protected under the umbrella designation of their lands as a UNESCO Man and Biosphere Reserve, these people maintain their voluntary isolation and are free to continue practicing their original ways of life in tandem with nature as they have done for many hundreds of years. But what about the neighbouring peoples like the Kichwa Añangu who, for diverse reasons, have been influenced by modernity? In this day and age, sustainable ecotourism and cultural exchange have become the best avenues for subsistance. 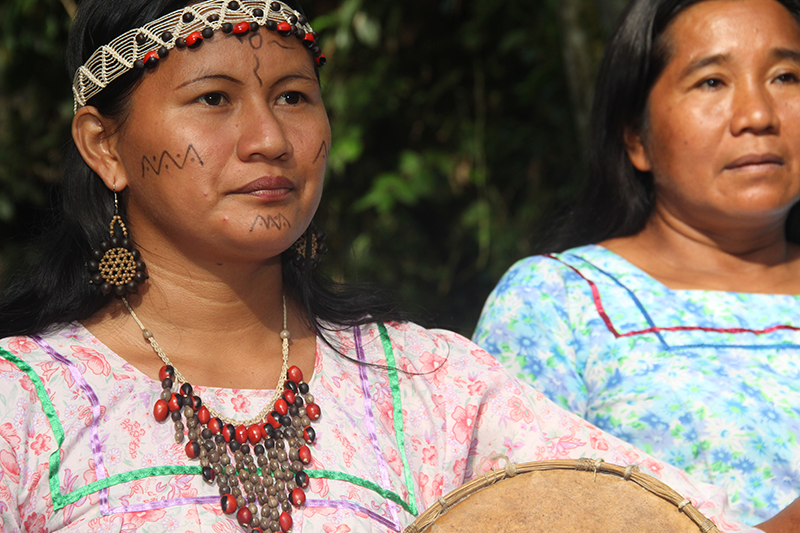 “Pachamama”, or Mother Nature, requires an indigenous-led solution to protect Amazonia. The Kichwa Añangu people are a grass-roots organization who are reliant on keeping their ancestral territories intact and healthy for their collective survival and well-being. 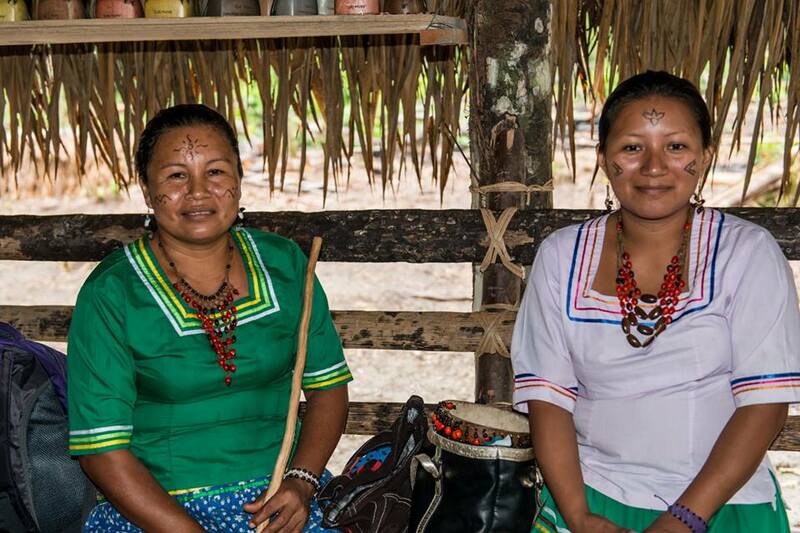 Through the sustainable development of two world-renowned eco-lodge businesses, Napo Wildlife Center & Napo Cultural Center they are actively preventing the dissipation of their cultural identity thanks to their many conservation efforts. Each individual action has a ripple effect. One of the best examples of the Kichwa Añangu’s dedication to preserving natural resources is their decision to give up legitimate rights to hunt and fish within their 200 square kilometre territory so that the biodiverse forest inhabitants can thrive, in contrast to the trend of chronic depletion in other parts of the Amazon basin. Instead, they opt to source organic goods from neighbouring agriculture-driven communities who, in turn, rely on this steady demand for sustainably grown food for their community’s economic stability. Food is arguably one of the most important unifiers across cultures because the entire process of its cultivation, preparation, and consumption represents the expression of cultural identity and community renewal. Methods of traditional food cultivation, such as the blowguns that were once key for hunting, are explained during cultural tours much to the delight of visitors. 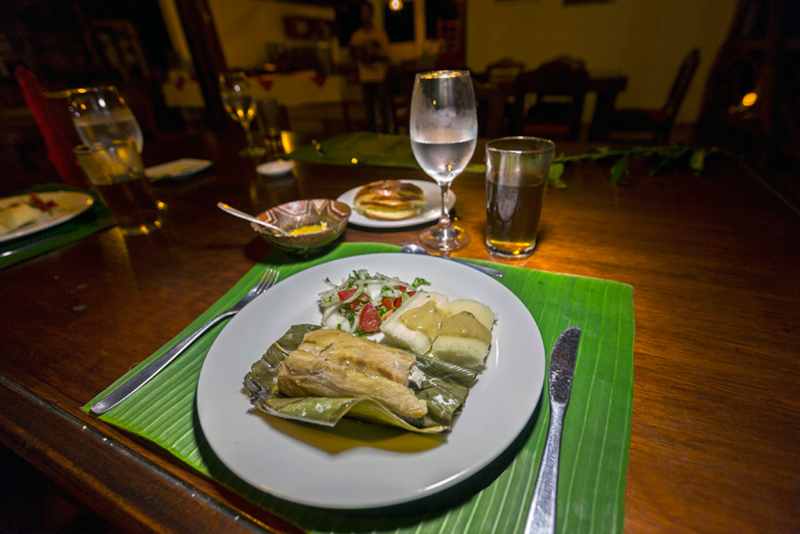 Authentic recipes are followed so that guests are able to fully appreciate delicious meals like “maito” which is fresh fish wrapped and grilled in a banana leaf. Two unique beverages are always popular with guests: “Wayusa”, a special tea used daily in a morning ritual and “Chicha” a refreshing drink made from fermented yucca. “Sumak kawsay” is an indigenous concept adopted by Ecuador’s constitution which means to live in harmony with nature and thereby protect all life on Earth. This and other traditional knowledge is shared with guests at our Kuri Muyo Interpretative Center through the performance of ancient dances and songs thanks to female knowledge-keepers, the “Mamacunas”. Original instruments such as drums made of wood and stretched hides, turtle shells and other shell horns are prized possessions used in these rites. 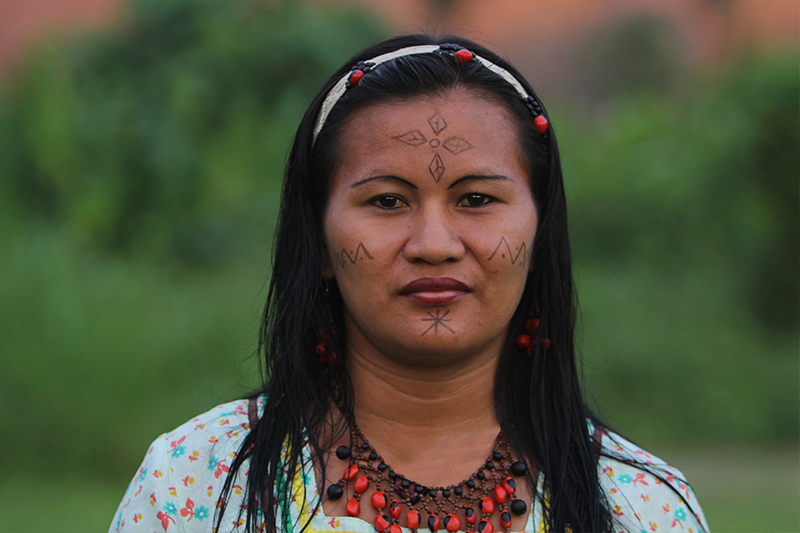 Some members of the community are adorned with tattoos created with “huito” a dye similar to henna which is made from all natural plant products that are sustainably harvested in the old ways to ensure the continued health of the mother plant. Most of these tattoos reflect important natural elements and invoke the protection of spirits of the forest. Requesting a temporary tattoo made with this semi-permanent organic dye is an excellent way for you to experience the Kichwa culture and have a visible souvenir of your time with us for a few weeks after you head home. Another memorable souvenir showcasing our artisanal talents is one of the many handcrafted items made by the gifted members of our community ranging from jewelry to carvings, pottery to modern canvasses of local landscapes. The seeds harvested and used for necklaces, bracelets, and earrings will be an elegant representation of the golden seeds of knowledge you collect during your time with us. All proceeds of the sale of these items go directly to the women’s organization and are redistributed evenly or put towards communal projects. By being able to continue walking the same paths as their ancestors and actively practicing their culture, the Kichwa Añangu are not only able to survive westernization in modern times, but thrive as well. We invite you to join us for cultural exchanges and learning experiences unlike anything you have ever imagined! Help uphold indigenous self-determination. Choose from one of our popular cultural tour packages, or inquire about an even more bespoke tour which can be tailored to your interests. The Añangu community has spent many years showcasing its natural realm at award-winning Napo Cultural Center. The desire was always to, through tourism, have a means of maintaining the community’s lifestyles and identity as strong as possible. Tourists at Napo Cultural Center would have a chance of meeting community members and could visit them, but the experience truly centered on creating an environment secluded from the human realm and immersed in the spectacular natural setting that thrives at Yasuní­ National Park. As the need of diversifying visitors’ experiences grew, the community at Añangu developed the idea of creating an opportunity for tourists to stay at the community and share and partake in Amazonian life and culture. Thanks to successful administration on behalf of the community, the Napo Cultural Center project was thus born and built. We are the Kichwa Añangu Community, located within the Yasuní National Park, which facilitates the experience of visiting one of the most bio diverse ecosystems in the world and its ancestral culture, with world-class services and standards, a model of governance and community leadership whose primary purpose Is to generate opportunities for the sustainable growth of the population, protection of biodiversity and local socio-economic development, using ancestral methods of collaboration at the community level and at the administrative level with permanent coordination to achieve organizational objectives under ethical, professional and esponsible principles. To remain as the leading community in tourism and sustainable development of the Latin American region, sharing and exchanging experiences of life and practices of environmental balance..
Have you been curious about the ancient people of South America ever since you first heard about them in grade school? Come satiate your sense of wonder! Learn about the day-to-day traditions, customs, and practices of the Kichwa Añangu, a nation that has co-existed within this territory for hundreds of years. We are an Indigenous Amazonian group who believe that sustainable eco-tourism is one of the best ways to preserve the pristine Amazon in the 21st Century. 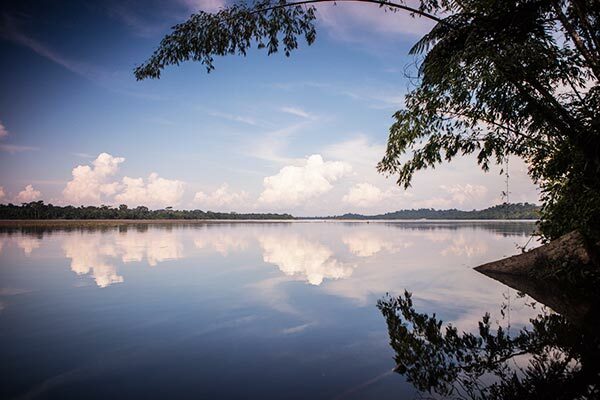 You will not only enjoy an incredible trip of a lifetime to the heart of the Ecuadorian Amazon, but can also feel good about helping support our community which has upwards of 180 members. 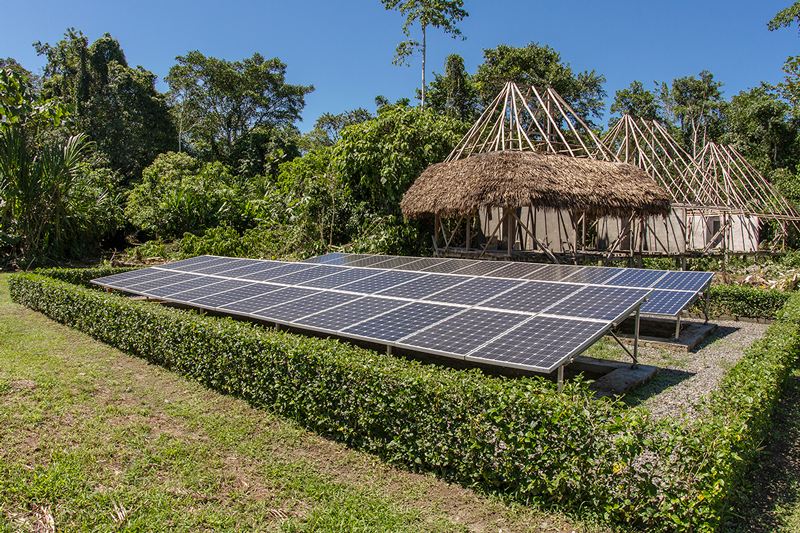 The proceeds of our joint businesses, the Napo Wildlife Center & Napo Cultural Center, work to improve our way of life through funding investments in renewable energy, education, and community health projects. Activities within the Yasuní National Park are coordinated by members of the community in conjunction with experts promoting self-sufficiency and the ability to share our way of life with the wider international community. It is important that rules of conduct and ethics be respected when you visit, such as refraining from the illegal poaching of wildlife, pollution of any kind, or taking pictures of our members without their prior consent. There is much to learn from each other! We look forward to a cultural exchange to develop a greater understanding of our similarities as well as our differences, sharing our indigenous ways of life and worldviews. “Guayusa” is a traditional drink which has been used for centuries in our ancestral rites and daily life. We invite you to experience this early morning ritual led by the elderly members of our community. 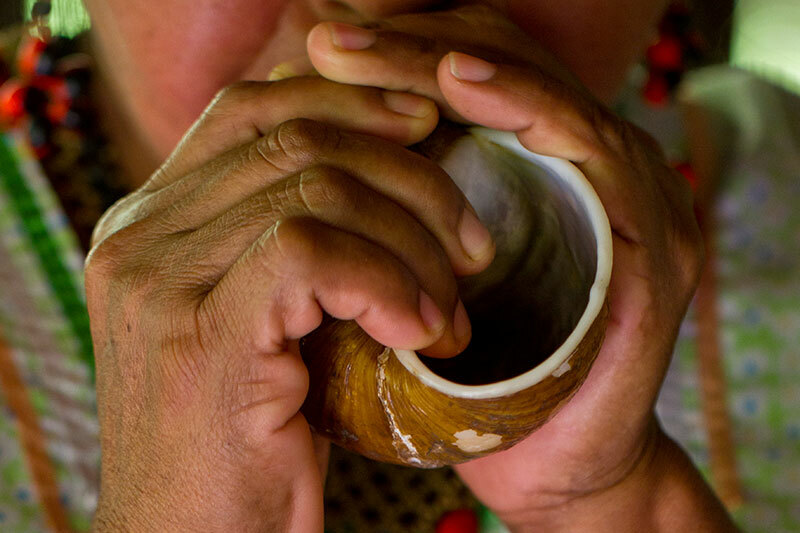 We will rise before the sun, drink “Guayusa” tea which will energize you for the rest of the day, listen to traditional songs, share our dreams, and have them interpreted by the wise “Mamakuna” elders. A visit to our Cultural Center will portray both the rich heritage and bright future of our community. 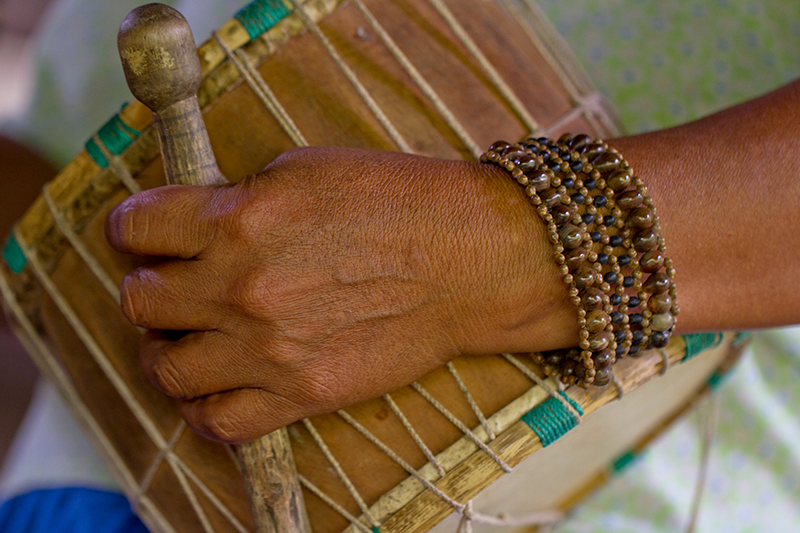 A combination of ancestral knowledge, beliefs, values, culture, and ageless traditions are delivered by our esteemed women through music, song, and dance. Elaborate artwork, jewelry, pottery, and handicrafts made using eco-friendly and sustainable practices are available for purchase. All profits made from these sales are managed exclusively by the women. The Genipa americana plant has been used by our ancestors for centuries. Cultivated from the Várzeas section of the Yasuní National Park, this plant and the fruit it bears provides many benefits and is used in a number of ways such as in traditional tattooing ceremonies. The safe, organic, natural semi-permanent dye is derived through traditional methods. Its initial blue-black color will fade to a sepia-brown before gradually disappearing within a week or so. Whether your culinary tastes are tame or adventurous, we have something delicious in store for you! Enjoy only the best of our fresh and locally-grown organic foods. Some options include “Maito” fish prepared in a “Bijao” leaf, fried cacao, exquisite “Mayones”, and the “Chontacuros” from Palm trees. Wash it all down with our local “Chicha” beer made from manioc root and sweet potato. The fermentation process makes this a popular beverage and offers the perfect refreshment for your palate. Dusk brings with it a whole new host of pleasures! 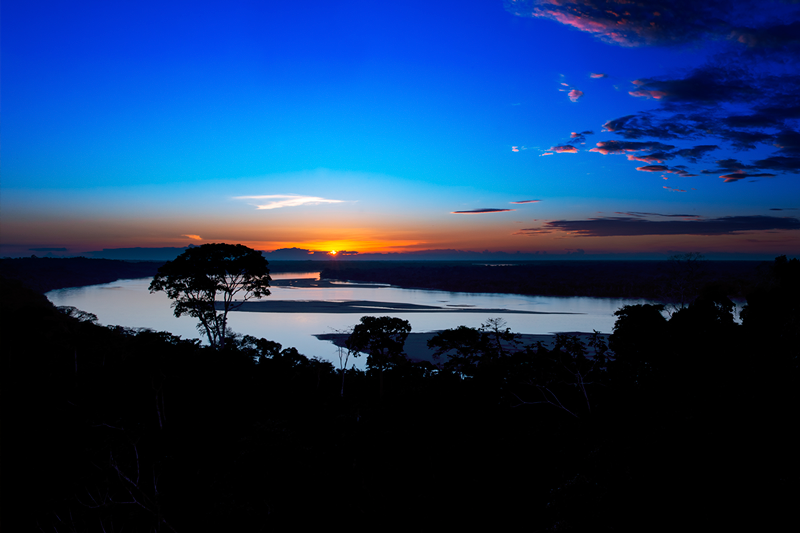 Experience a breathtaking view of the Amazonian sunset on the Ancestral Kichwa Catamaran. This watercraft follows an ancient trade route along the Napo river between communities in this region. We will float along together and share our ancient legends and magical stories while you enjoy some delicious fire-roasted snacks. Researchers, scientists and alike will consider their Amazon Rainforest Tour worth their while with all the knowledge the Añangu Community has of natural medicines, which are stored on the forest. Around the Ecolodge and beyond all women, men and young ones are versed on the advantages of plants. This knowledge has been passed on from generations. Some of it is retailed below for the complete version, nothing better than to visit the community. Python rind: to purify the blood in the postpartum. The python pit used to clean the stomach is taken when a woman has given birth or for malaria. Also the oil from this pit is used to cure pimples. Cat’s claw: used for body aches and when women are much lower blood during menstruation. Helps reduce muscle aches and evil heart. Cooks until little water and taken. Drago’s Blood: used to relieve pain stomach, helps stop diarrhea and stop menstrual cramps. This acts as sort of healing aid, it closes external cuts. Virgin Sisa: is a flower that helps women when they want to give birth and cannot. Sisa is flower in Quechua. Peanut leaf: when the woman has given birth, it helps the women’s stomach to get back into place. Cow’s heart: it’s not an actual heart this refers to a leaf shaped exactly like a cow’s heart. It helps women with the menstrual cycle. Taking an Amazon Rainforest Tour can have many advantages to all, even you’re not a researcher or healer, the amount of natural medicine that can help people is quite impressive, and also a long list. Which is why the Napo Cultural Center brings out much of the community’s culture, it helps to know that which can help us heal even the smallest of pains. 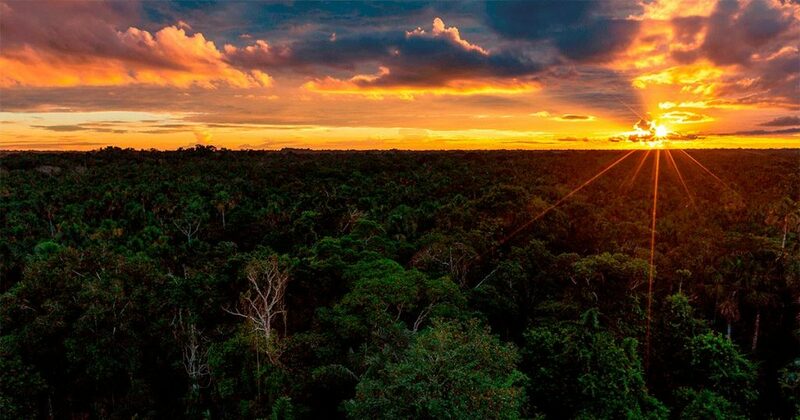 The Amazon tells or immense forest can intimidate some but in reality, the only way of knowing what you’re up against or what kind of new and exciting adventures you can find is by actually living them. Hearing from some else, never comes close to actually touching, smelling, hearing, seeing, and sensing the actual life of the Amazon Rainforest. 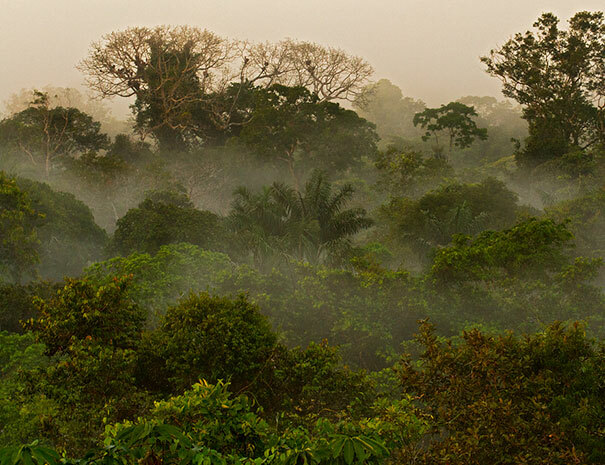 Due to the amount of treats to the Amazon forest, the deforestation and the oil production, gave way to a proposal to protect the land and the rainforest. The Amazon Tour takes you through a different world you will glance into the past. In order to protect what was dear to them, it was necessary to isolate some parts of the territory so they could be sheltered from man and their wayward ways. The main land is for tourist desk operation, which has a 25% of high care. A 2nd section is for the, intensive use 15%, where hunting is allowed but the community decided not to so. Even in this space the collection of material is allowed, for example: fallen trees. The third area is considered of maximum protection, 35% did not allow any alteration. 10% of it is for research, here’s the research station part of the land. Where you’re permitted to study the many wonders spurted around. Even if some have second thoughts when it comes to making an Amazon Tour,we can mainly say these lands are protected by their people, because they understand it and know since infancy how to take of it. The Napo Cultural Center along with Napo Wildlife Center, are Ecological Hotels meant to have tourists like you with the best accommodations that gentle folks like the Kichwa Añangu can offer. Where else would you find such attractive rooms with the opportunity of meeting an ancient community? Plan wisely your trip to the Amazon Rainforest, don’t hold back when it comes to asking questions, experience first-hand the many surprises that only wildlife, fauna and flora is capable of offering. Search the site, ask about the ideal time of year to travel, and don’t forget to take your time to build an itinerary, one that will permit you have the ultimate understanding of the Amazon. 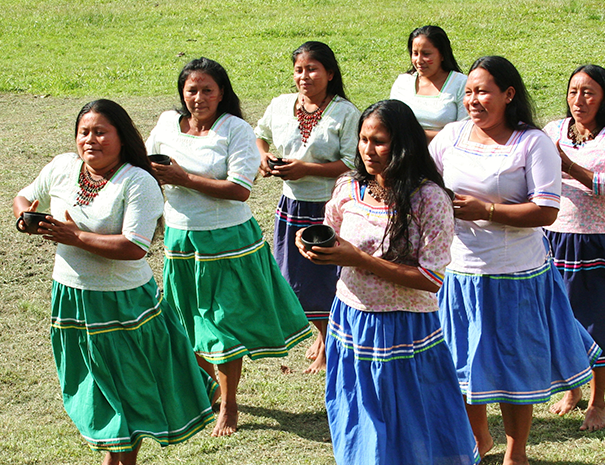 The Kichwa Añangu Community is the one responsible of this land, the Napo Cultural Center and NWC has uniqueness embedded on every stone and tree. 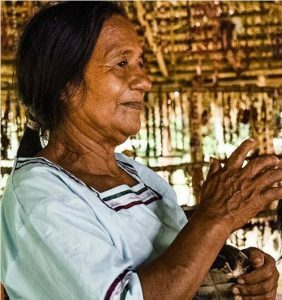 Once you get to the amazon rainforest, you can learn from the Kichwas the amazing stories that shapes them, there’s the one about the Puma Mama, the Guatusa, the Devils, among other that those aficionados to old tells will like. This is one of the great characteristics of an Amazon Travel you get to learn about old stories to take back to your family. This tell take us ages back, some of it goes like: “…The Sun and the Moon heard their plea and promised to help them because they, like everyone, had also been infected with the nostalgia of time and thought it was not fair that sadness began to destroy them. For that reason they were united in this purpose. Hearing this, everyone recovered their vitality, the energy to sing, dancing to the Sun and the Moon, which at sunset reddened wrapped around each other and disappeared. They spent nine moons accompanied by songs and dances. Don’t think the story ends there, while you plan your Amazon Travel you can add the Amazonian Rainforest to it, so you can go the Napo Cultural Center and found out more about their local stories. 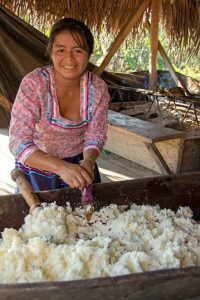 Since the Napo Cultural Center is run by the community itself, all their incomes go back into the community. An Amazon Travel will grant you the opportunity of knowing how it all works besides from experiencing the wildlife around the Ecolodge. With the tourism incomes from the Napo Cultural Center the Añangu Community was able to build the Vicente Mamallacta Education Centre, this building is for all ages and it’s a bilingual centre. The Mamallacta was one of the first families to establish in the community in the 80’s; they, along with 6 other families gave live to the establishments you can visit nowadays. A biodigester refers to an airtight container, which allows decomposition of organic matter under conditions anaerobic and facilitates removal of the resulting gas to use as energy. The Biodigester Project will function on the organic waste from the kitchens of the NWC and the Napo Cultural Center, as well as the one at the communal dining hall. The biogas created from it, will serve to fuel the kitchens. The Añangu has managed to capture daylight so it can work as a form of energy, which helps maintain the different activities they do daily. With help of the solar modules, these are photovoltaic panels formed by numerous cells that convert light into electricity. These cells depend on the photovoltaic effect by which light energy produces positive charges and negative in two neighbouring different semiconductors, which produces an electric field capable of generating a stream. The Añangu Community uses recycling cycles in every way, the Ecolodge is the main prove of it. The whole building along with the furniture are made out of recycled materials. 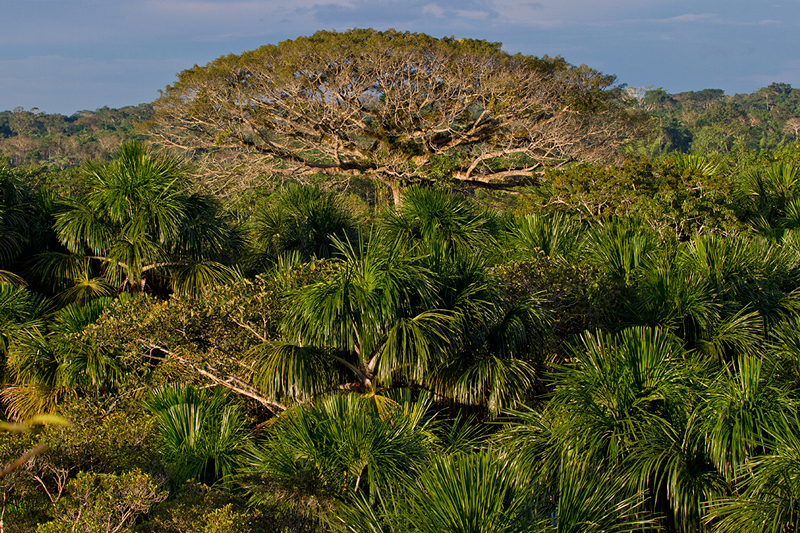 The Yasuní Natural Park is definitely one of the South-America aspects that you can enjoy while on a tour. Many had found an Amazon Travel as one of the most extraordinary experiences to have in a lifetime, no matter where you go after or before the Amazon Rainforest is one of the stops you should do during your travels. The wildlife alone attracts many tourists a year. Navigate our site, and contact us for more information. The Añangu Community of the Napo Cultural Center is always looking for ways of recycling every bit and part around them that’s how a project for a biodigester was created; this strong believes is one the things that drives Amazon Rainforest Travel enthusiasts to include Ecuador in their itinerary. 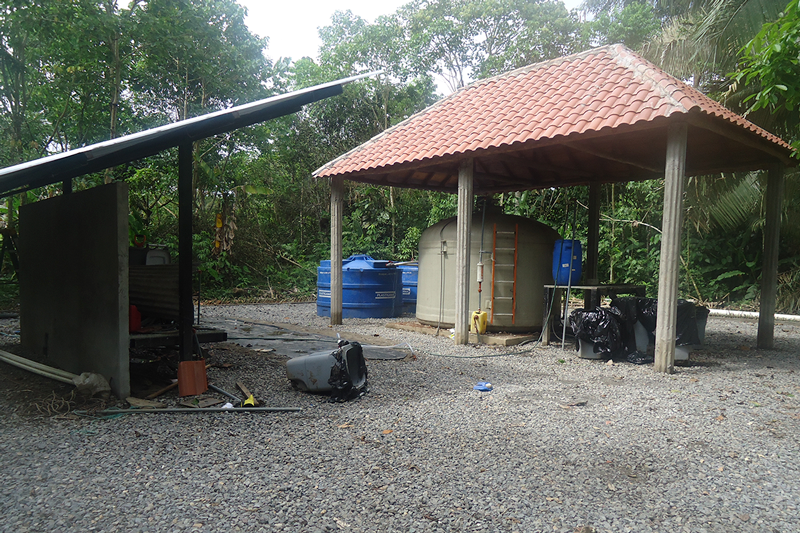 One of the recent projects of the Kichwas is the Biodigester, which will be using the organic wastes from the Napo Wildlife Center and Napo Cultural Center kitchens to obtain biogas, the one in return will be used to supply the Ecolodges’s Kitchens and the community dining hall. It is a renewable and sustainable energy. The by-products can be used as fertiliser. It helps to avoid the use of local wood hence the forest resources are preserved. It redirects and exploits the toxic gases created by factories and landfills, which helps reduce the climate change produced by the carbon imprint of the factories. Also, the biodigester creates an organic fertiliser (Biol), which is used for the communal chacras and familiar chacras (small parcel located near the house reserved for harvesting). With this kind of fertiliser the community can obtain better products without fertilization agrochemicals. Embarking in an Amazon Rainforest Travel or Tour will bring you closer to nature without a doubt; however, this cannot be your single reason for visiting the Amazon. The way the Kichwas conduct their lives in something to be amaze by and take part in it, so you can take some useful knowledge of to protect the environment. Once you’re at the Napo Cultural Center, you will have the opportunity of visiting the Interpretation Centre, meet the people, learn their ways, taste every piece of good food. Researchers and not can equally enjoy the wonders hiding away on this part of South-America. An Amazon Rainforest Travel will capture your attention in the blink of an eye, once you discover the various life forms that the Yasuní Natural Park holds in its forests. The Ecolodge run by the Añangu Community will give you the opportunity to visit safely the surroundings, so you may indulge in an adventure you won’t forget. 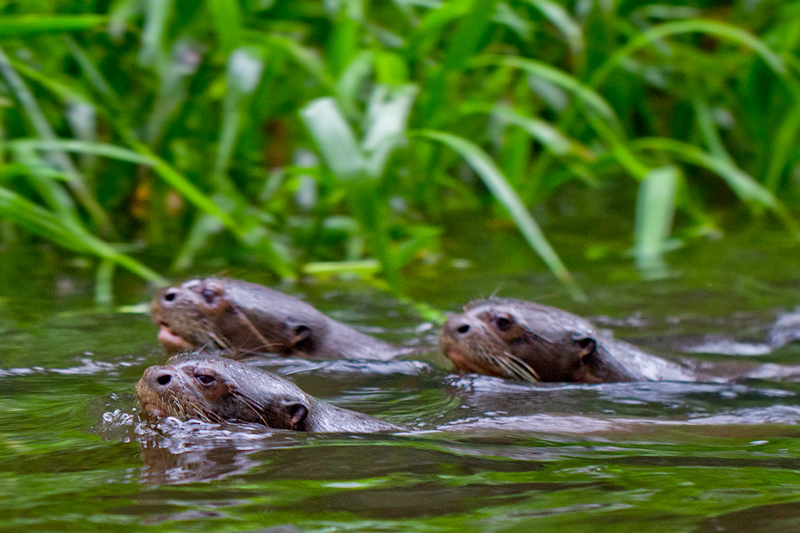 The Pteronura brasiliensis, this otter prefers fresh water, which incidentally is what it finds on the Napo River. The otter doesn’t many predators, others than humans itself and Caiman. This is just one of the several mammal species that can be found in the Yasuní Natural Park and it’s one of the most impressive to watch. These are clay deposits where some birds and mammals concur to eat mineralized clay soil. These lamederos have different perpendicular banks sizes near the Napo and Tiputini rivers as well as in the forest. There are several assumptions regarding the intake of this clay by some wildlife species. Some believe that the clay is used as a detox; others state that the soil contains minerals needed in the animal’s diet. 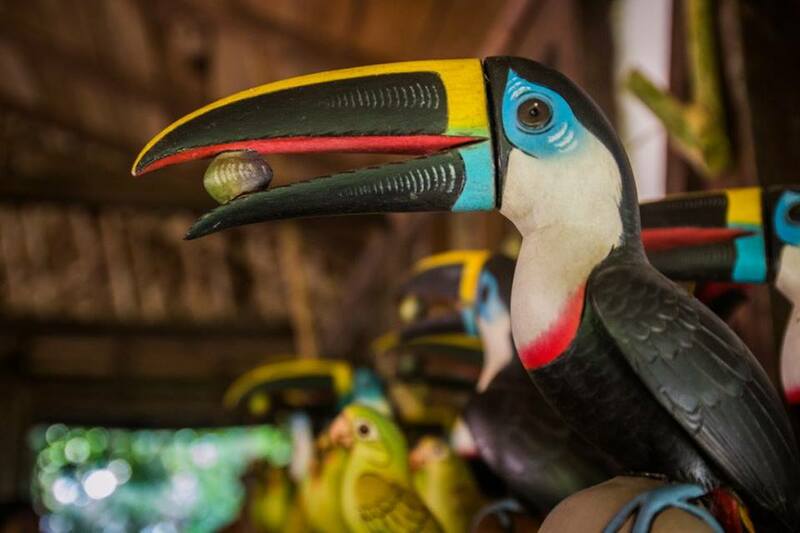 Whatever the reason, thousands of birds come to the Saladeros is an event that tourists always include when they visit the Napo Cultural Center. 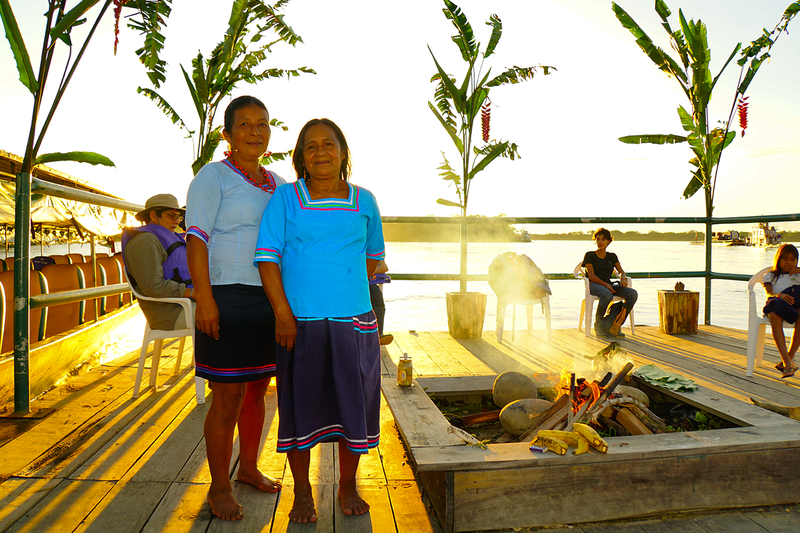 The Añangu Community has the most accessible Ecuadorian saladero. This is why the community has built an adequate infrastructure dedicated to the observation of these unique and natural events. For the researchers and fauna enthusiasts, you will find more than a 170 species of mammals (80 species of bats), 567 species of birds, 105 species of amphibians, 83 species of reptiles, 382 species of fish and more than 100,000 species of insects. Search our site and find what suits you best for your Amazon Rainforest Travel, if you have any questions you call or email us. The Napo Cultural Center has a couple of packages that might interest you, whether you’re traveling alone or with family. The spirit of the jungle is one of the Amazon Rainforest Tour most distinguishing aspects of the Kichwa. Within the Añangu Community there’s the Interpretation Centre where you will learn their ways, not solely their culture and delicious food but also, their religion, spirituality and way of life. The Yachgs refer to almost magical beings, which are chosen directly by the power of the jungle (Sacha Samai) using plants to contact their spirits who in turn give them the power of healing. Being a Yachag is a gift that is bestowed upon a chosen few, it also involves discipline and responsibility as it is an important position in the service of the Kichwa society. The physical and spiritual health of the Kichwas depends upon the Yachag and his ancient knowledge. One the locals tells us, that once there was a Yachga in the community who could control bad energies, but with old age people die however eventually comes new members who have the spiritual power. Sometimes it doesn’t happen, sometimes it does; there are people chosen by the jungle, not everyone can be so. From infancy the jungle choses the Yachgs. In the past, the elders had their main believes on the “ceibos”, the big trees at the lagoons and swamps of the Sun, of the rain. Now, they have expanded their religion, and even though some still have their faith as before, others are Catholics or Evangelic. They don’t deny the spiritual power of the forest, it can protect them. But also, some state that “…we believe that God gave us nature, that nature is God”. Once you find among the local people, you will be able to learn more about their ways and believes. You can share the ancestral knowledge, customs, legends, dances, music and traditions of the Kichwa, enjoy the unique taste of traditional food and be part of making the wuayusa one of the most important ancient ceremonies performed at dawn. This is definitely one of the stops on an Amazon Rainforest Tour.